Want to be an expert in sewing? Thank you! Please, check your email (also Spam and Promotions folders) for my Welcome email with a link to the free guide! Let me start with a joke. I wanted to sew. So I took my mother’s sewing machine from the closet, placed it on the dining room table, cleaned the bills off the table, sat down, stood up to plug in the sewing machine, found out the cord is too short, went to the garage to find an extension cord, came back, plugged in the machine, remembered I forgot the thread upstairs, went upstairs, checked my email, replied to one of the messages, came downstairs, remembered I forgot to take the thread again, went upstairs and finally got the thread, came down, couldn’t figure out how to thread, went upstairs to find the manual, came back, saw my cat running with the thread, caught the playful cat, punished her, made peace with her, went to the kitchen to give her a treat, came back, studied the manual, threaded the machine, found the bobbin already in place, uhh, was feeling happy, remembered I forgot to get fabric, couldn’t find any fabric, went to the kitchen for some old towels, saw my husband watching a movie, started to watch the movie with him, finished in 1 hour, remembered about the sewing machine on the dining table, being disappointed unplugged it and decided to try sewing some other time. Let’s put the joke aside and continue with our theme. Sewing in the modern world is becoming more and more a lost art. It seems that sewing is so old school. Now all day long we have gaming, blogging, tweeting, texting, calling, recording, podcasting, facebooking. We are using cell phones, tablets, computers, all other cyber things everywhere and every day. Use a sewing machine? Now, that’s something we hadn’t considered. Our grandmothers were sewing mostly because they didn’t have a choice – things were not widely available or they didn’t have money to spend, but the will to look good and stylish was always in human nature. Our reasons for sewing are a lot different than our grandmothers’. Now it is cheaper to buy a t-shirt than to sew a t-shirt. So why would we start to sew when it seems that everything possible is freely available for everybody? I want to show you some benefits of sewing in our cyber-crazy world, and I would like to revive this one of the oldest activities of human beings. When you sew, you’re not just making a dress, or curtains, or a bed cover – you’re giving life to an idea. You are taking a piece of yourself and sharing it with the world. Every step in completing a sewing project involves making a decision about how to bring it to fruition: which fabric to use, what color to choose, which pattern will be the best, how to cut, how to put the pieces together, etc. If you find yourself stuck in a job that doesn’t represent you, sewing can be a great way to provide that mode of expression you’ve been searching for. Besides, it’s fun! Most of us aren’t models. Store-bought clothes can make us feel bad about ourselves when they look better on the hanger than on our bodies. The problem isn’t with us; it’s that clothes are made to fit “average” shapes and sizes, not individuals. If you sew a dress yourself, you can choose colors and patterns that hide your problem areas and flaunt your assets. I haven’t had a small waist since I turned 50, but I choose patterns that hide this problem. I am a size 10-12 when I buy jeans from the store, yet people consider me slim because I know my body, and have learned how to make optical illusions with slimming dresses and figure-flattering skirts. Accessories like royal draperies, embroidered throws, scented sachets, fancy bed covers, silk pillowcases, even new chair upholstery, are all things you can sew! These are the things that turn a house into a home and are great conversation pieces when guests come over. Why not display your personality and creativity around your home? And you can even make trendy outfits for your favorite pet. After retiring, losing your job, breaking off an important relationship, or other changes in your life it might be good to find some new passions and new goals. So why not to start sewing? It can make you happy in different ways. Did you notice that we always think that we will be happy someday in the future when we finally reach our goal whatever it is at that time? And everybody is forgetting that it is good to feel happy today, it is good to feel happy in the PROCESS of doing something not only at the end of the journey. Sewing works exactly this way. After all, sewing IS a journey, not a destination. You make something small –a kitchen glove, a pillow, a skirt and you like it, your friends like it, your family likes it. Will you feel satisfied and happy at this moment? Of course, you will, no doubts about it. And in the process of making the thing, you could already envision how good it will be looking on you or on your coach. This sense of achievement of something new will bring more satisfaction to your life. You can’t fail as long as you start and enjoy the ride. Can you find a 100% silk dress, pajama or pillowcase in regular stores? Of course, you could go to Chanel or Gucci to buy them, but do you have the money for this? I go to New York City, buy gorgeous 100% silk fabric for 10-15 dollars per yard, and voila – my 100% silk dress (which looks like the ones from boutique stores) cost me only 30-40 dollars. So if you can sew, you can treat yourself to luxurious fashions in silk, linen, cotton and wool for much less money than retail. Besides, there are health benefits of a natural lifestyle. Natural fibers are less abrasive than synthetic fibers. They don’t just look great; they’re far more comfortable. I just adore shimmering appearance, natural softness and beautiful fall of pure silk, exceptional coolness and natural strength of linen, durability, versatility and stylishness of pure wool in almost unlimited selection of beautiful colors. How many times have you bought something at Old Navy or American Eagle, only to find your enthusiasm lost when you see your neighbor wearing the same thing? If you make your own clothes, that will never happen. Wherever I go, people are noticing – and complimenting – my clothes. “What an interesting skirt!” “What a unique dress!” “Where did you find that hat?” Take a look at my article about sewing a coat, none of them can be found in stores. And the best part is that I know these compliments extend past my clothes and my physical appearance. Before even speaking to people, I show them my personality. That’s what they appreciate. I can’t express how much more confident I feel after these encounters. Why? Because you care about your style, you choose carefully what you sew. It doesn’t make sense to sew frumpy shapeless T-shirts and wide pants with elastic at the waist – you can buy them very cheap in a store if you want to disguise yourself with clothes. But if you sew something yourself ( and I am describing my own issues here ), you can choose the model to hide sagging skin at the back of your arms with smart made sleeves, or to hide your aging neck with a large cowl collar, or to hide your fat belly with a wrapover skirt, or to complement your feminine shapes with a build-in bra. You can choose a color that’s good for your skin, your eyes, or your hair. When you sew, your mind is busy choosing a pattern, making alterations, cutting, changing needles, choosing threads, etc. During that hour, your hydro bill doesn’t seem so pressing anymore and you can’t remember why fixing that faucet upstairs seemed like a big deal. We have the ability to lose track of time if we fully engage with what we’re doing. As for me, I love escaping into the world of fabric, patterns, needles, and scissors. In fact, I’ve grown to think of it as meditation. It is interesting to note that you can sew and at the same time listen to your favorite music, an audiobook, a podcast, or the news. When you’re feeling up to it, you can do two things at once! I’m serious. Clothes take on a new level of sentimental value when you make them with your own hands. If you made some nice dresses last year you will not want to throw them away now because you got fat and the dresses don’t fit you anymore. Just imagine — you put so much love, time and work in your creations – and you throw them away? No way! I bet you will try to stay fit. Fitting into that silk dress that was so tricky to make can become your motivation to start eating right. Besides, you can’t snack while using a sewing machine! Sewing itself is usually an individual activity, but in the process of preparing your projects, you will interact with many people who have the same passion. For me, going to the fabric store has become a way to discuss my projects and brainstorm new ideas. In the same way that puzzles and crosswords get us thinking, sewing can stimulate our brains. Mastering a sewing machine takes time and practice, and the process of sewing is a very detail-oriented one. Your brain will work to produce creative ideas all the time. You will have to memorize a lot, you will have to be acquainted with many sewing terms, you will have to know how to do many operations on sewing machines, etc. In a short time, you’ll find your coordination better, your reflexes faster and your ability to focus improved. First of all, as any other creative activity it can minimize stress, and we know how important it is for healthy living. Stress is unavoidable in our world so we have to deal with it somehow. Sewing may be a way to manage your stress. Sewing helps you relax, and because of this it can lower your blood pressure. 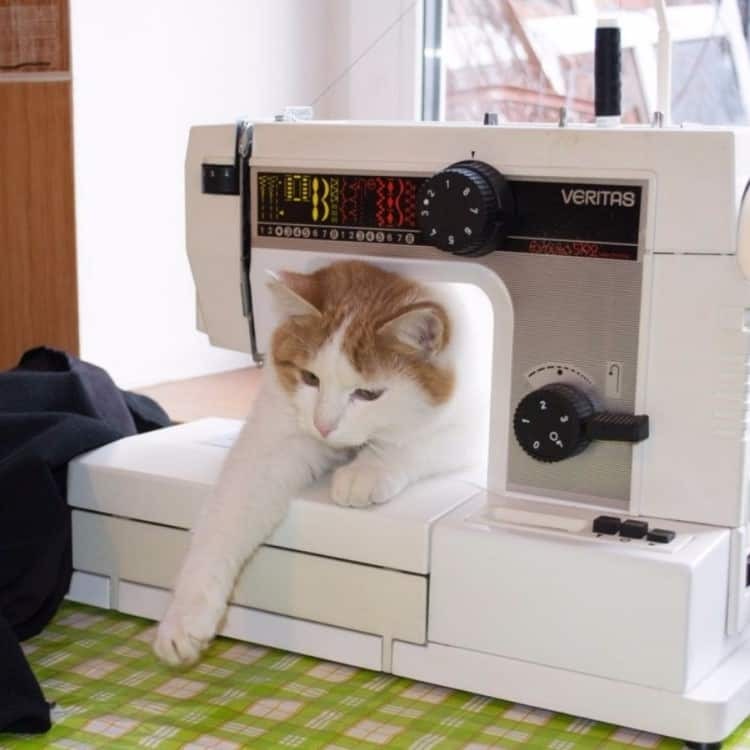 Second, you are not constantly sitting while sewing, you are moving a lot, because you need to get up to make a pattern, to cut the fabric, you need to get up to iron almost after each stitch, you need to change sewing machines for different kind of operations (from a regular sewing machine to a serger, from a serger to a cover stitch machine and back). It can be both interesting and educational. 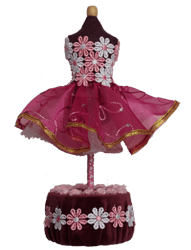 Sewing dresses for dolls, buttons, small cases for cell phones and other hands-on projects can teach kids creativity, patience, eye-hand coordination and show kids that learning can be fun. Moreover, sharing things you love to do is a wonderful way to create deep, loving relationships and for a child, having executed ( even if with major help ) a project that results in an actual item he/she enjoys and can be held and admired, is a major achievement. A family that i-phones together or watches TV together is getting apart, a family that builds things together stays close together. Some unexpected benefit of sewing is overcoming our addiction to computers, cell phones, TVs, tablets and all these i-things so for a few hours a day you disconnect from this world of Candy Crush, Pet Rescue, Angry Birds, Scrabble and other games, and substitute it with something different and productive. Handmade gifts are always in fashion. Finding a gift that people will enjoy and use is not easy, but if you can sew, gift-giving possibilities become unlimited. A cell phone case, a doll for your daughter, a dress, a scarf – these are things you can learn to make, and things your family and friends will actually use. By varying the fabric, changing the applique, adding embroidery you can create gifts in a short period of time at a minimal cost. The joy of sewing may be enhanced when we see that our handmade gifts bring happiness to those around us. Leaning to sew is like learning a different language. You can’t wake up one morning suddenly knowing Russian; it takes time to study, practice and gain experience outside the classroom. So, I invite you to my blog about sewing. If you made it to the end of this post, you’re probably interested in learning to sew. I plan to teach you how to start, how to grow your skills, how to branch out and experiment with organic and natural fabrics, patterns, textures and shapes. You don’t need to make difficult patterns or to sew complicated wedding gowns from the beginning or ever ( even if at some point you will be able to ). A little goes a long way. 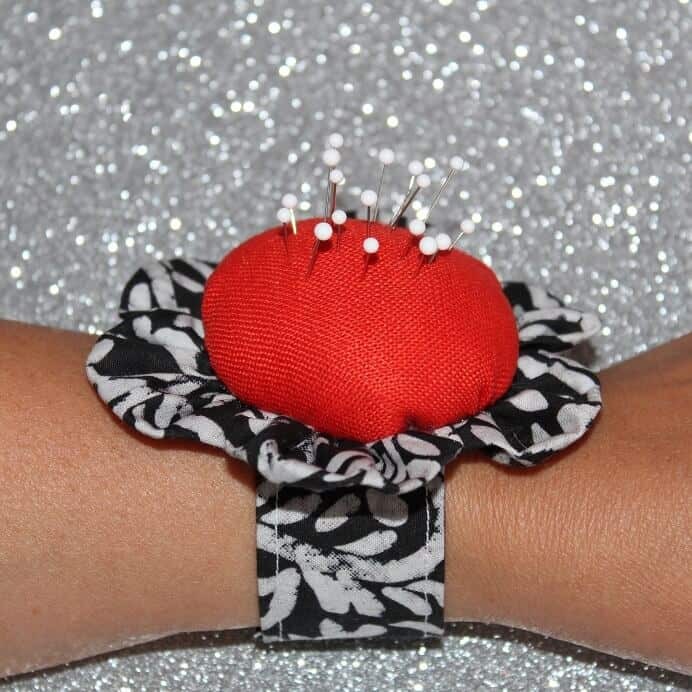 Start small — for example , with a pretty wrist pincushion, or with an easy button embellishment, or with a simple spaghetti strap dress. I don’t want you to make something you can buy in any store. If you start sewing make something different, something nobody has and something that fits you or your home. As long as you have fun doing it, you’ll know you’re making art. 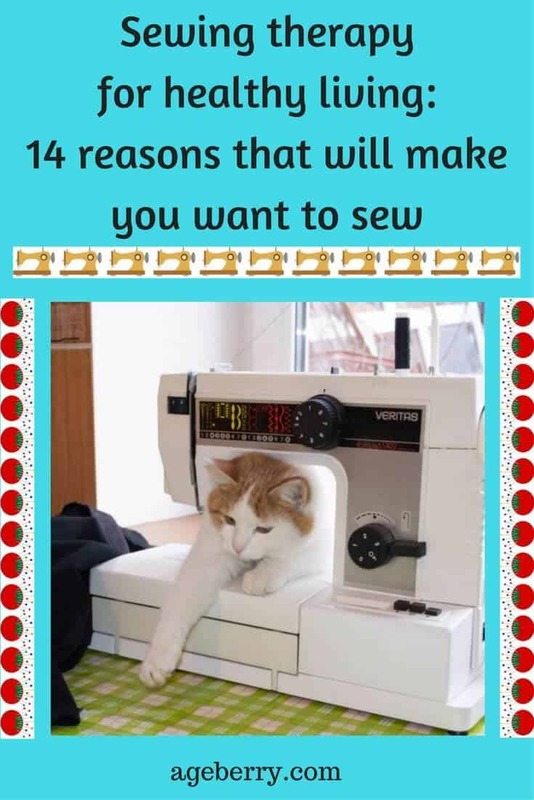 What are your reasons for sewing? What is your sewing story? I sew but I am not a sewer. It is like calling a person who draws – a drawer. Maybe fabricologist? Materialist? Just kidding. Sewist? Please, take a poll here. I would really like to know your opinion. I, too, am a new blogger so I want to support you in your efforts, but more than that I LOVE what you’ve done! I love the look, the content, your picture, and the fact that I want to get back to creating art with my sewing machine. I have pics of the gorgeous little elephants I’ve made, and I think –Why did I stop?? Congrats and thanks. I look forward to seeing more of your efforts. Thanks for your kind words! I try my best. I really want to inspire people to sew. Wherever I go I get compliments from people who like my clothes. I am sure it is because I made them myself. And I thought – why not to teach sewing on my blog? I have 30 years’ experience in sewing. It was my hobby though not my profession. Dear River, I would like to see those pics of elephants you made. 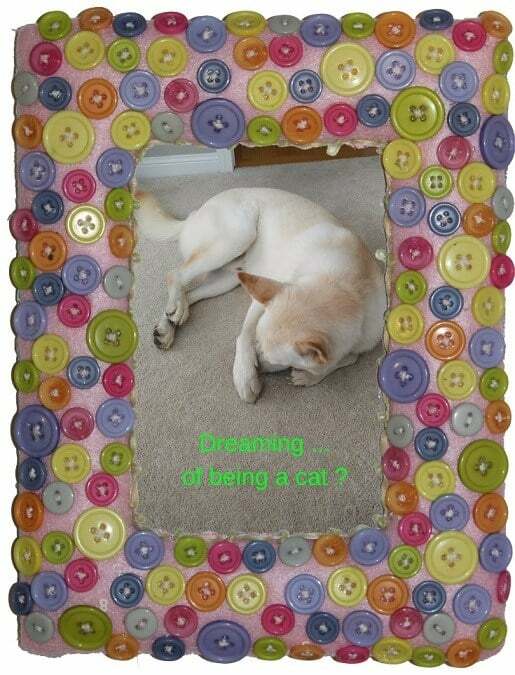 Can you put your images on my Facebook page Ageberry@StartSewing? Muy interesante. Justo lo que buscaba, coser algunas cosas sin mucha complicación. Gracias por compartir tus talentos. Thank you very much! I don’t speak Spanish but I used Google Translate to understand your comment. Linda, I am happy to hear this! It was not easy to start the blog. I am glued to my computer for a few months already. I almost don’t have time to sew. Lol. I will really appreciate your support. I would like to make my blog useful and popular. Thank you very much! I am happy to hear this. I couldn’t reply right away because I am in Naples Florida and after the hurricane, we don’t have power. Let’s connect on Facebook. I am trying to build my page https://www.facebook.com/StartSewing/ and I am on Instagram also (ageberry77). Do you sew clothes or things for the home? Or both? Nice read. I already sew but great reasons for me to sew more ? I am glad you agree with me! Thanks! I use Divi WordPress theme. As for the serger, I didn’t purchase it, I bought Janome serger two years ago, and it still works fine. I just did the review after I tested it for few hours. But I am really impressed by all its features. It is a great machine. What serger do you have right now? And yes, I plan to make some tutorials about using sergers. There are plenty of small “secret” to write about. Wonderful blog, and so unique and different from other blogs! I found you through Pattern Review. I’m so glad I stopped by and signed up. I always enjoy and learn from your reviews. Thank you for sharing your knowledge. Your English translation is just fine! Olga, I have just discovered your blog and absolutely love it. Could you please tell me how you ruffled the silk chiffon for the sleeves on the beautiful BurdaStyle Magazine : 02-2007-122 Wrap-over dress that you made? I want to make a 6cm wide ruffled silk mesh trim for the neck, sleeves and hem for a dress, but not sure of how to do it. thank you for your kind words. As for the ruffled trim I made, I bought already pleated chiffon fabric (it was Canadian Fabricland store), cut 6 cm at selvage and made my trim (I didn’t need to serge the edge because it was selvage). I would like to make an image but my comment plugin doesn’t allow me to make it. So I found some fabric on Ebay and here are the links (something like I bought). I didn’t buy from Ebay, so I don’t know how they are, but images look just like mine fabric. I hope it helps. You’re blog is wonderful Olga. You do an amazing job sewing your outfits. I too am a hobby sewer and have been sewing for myself and making decor for my home since high school. (That’s a few moons ago) lol. Keep up the great work…. Thank you very much, Catherine! I am a new blogger, and I am very happy to hear that I am doing it right. Thanks also for following me on Facebook and Pinterest. You made my day. It’s been years since I really sat down to do any sewing, need less to say a lot I have lost. Need to start over. I hope this will be my incentive especially the weight loss part and help me feel better. Thank you, Sharon! I am happy to inspire you to start sewing again. I just came across your blog on Pinterest and love it! My mum always sewed and at 24 I’ve finally taken it up too. I have a “colourful” sense of style and right now all that’s available on the high street is dark/neutral colours in unflattering cuts with cheap materials. Everyone dresses the same. Also, being a pear shape, it can be tricky finding a good fit. Just found your website and I am wondering do you plan to add how to alter clothes. I find that I can find so many clothes at prices below the material costs and would like to learn to alter clothes. Thanks for the basics and beyond here, great for me who is getting interested in sewing from Pinterest. Thank you for your kind comment! Yes, I plan to publish tutorials on alterations, I can share some very useful tips. I agree that fabric sometimes costs more than already made clothes. Unfortunately, I am quite slow at publishing tutorials so if you need the information right now I am sure you can find it online. In the meantime, just learn to sew, learn to use a sewing machine and make some small sewing projects because you will need basic sewing skills to alter clothes. Nice to have found your Blog. Wanting to get back into sewing projects. Been away from it for far to long. Thank you! I am glad you found some inspiration on my blog! 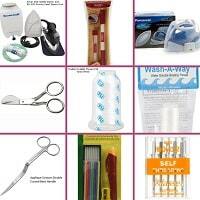 Thanks for all these great reasons to buy a sewing machine. I used to sew frequently when I lived at my mom’s house, but I haven’t tried it in a long time. I love that you mentioned activities like sewing are a good way to stay close to your kids when they would otherwise be watching TV or playing on their phones. It would be a good idea to buy myself a sewing machine and teach my kids how to use it too. Thank you for your kind words! I am happy to see that more people begin sewing and buy sewing machines. One year ago when I started my blog I knew only a few women who like to sew, now I know more than a thousand and many of them new to sewing. Hello, Olga! I’ve been sewing for 50 years, professionally and otherwise, and have feared that sewing was becoming a lost art. It was so nice to find your blog! What a great welcome to beginning dressmakers and tailors. Stitch on, sisters! Thank you, Kateri for stopping by and sending me a sweet note! I thought so also before but now I am convinced that sewing is not a lost art. Thousands of people come to Pinterest, Facebook, etc. with their sewing problems and questions, even I have a few thousand followers now and I know sewing sites that have millions of readers every month! Also, I found a big group of sewists in my home town, and we meet every week to discuss our projects and to show and tell. I’m trying to get back into sewing and want to know more about suitable machines for sewing canvas / heavier weight fabrics. Ie what would cope with heavy weights and also have a good clearance? Would a good domestic machine work or should it be an industrial machine? Would you recommend the Destiny II? I absolutely love the Destiny II but it is too expensive for my regular sewing, I am saving it for embroidery where it does an excellent job. I personally use a Janome Memory Craft 6600 for regular sewing and I can tell from experience that it handles beautifully ( with proper needles and thread ) denim, thick fabric, leather, cork – everything I thew at it, thin or thick. I see it is still available on Amazon https://amzn.to/2Tz1jq7 but there are now newer models, I have also heard and read good things about the Janome 6700 https://amzn.to/2D75W3Q and 8900 https://amzn.to/2D5Oe0s but I did not actually use them myself, so take this with a grain of salt. If you are into quilting also, while I am not a very experienced in the domain yet, I do have friends that are and it seems the prevalent opinion is that for quilting nobody beats Juki. Could you please mail a result of your search at olga@ageberry.com ? I love, love, love your blog!! You always have such relevant information. Thank you for all you do. Thank you for taking the time to drop me a sweet note!